I went to go visit one of my best friends Caity Lotz who moved to Vancouver from Los Angeles for a job. 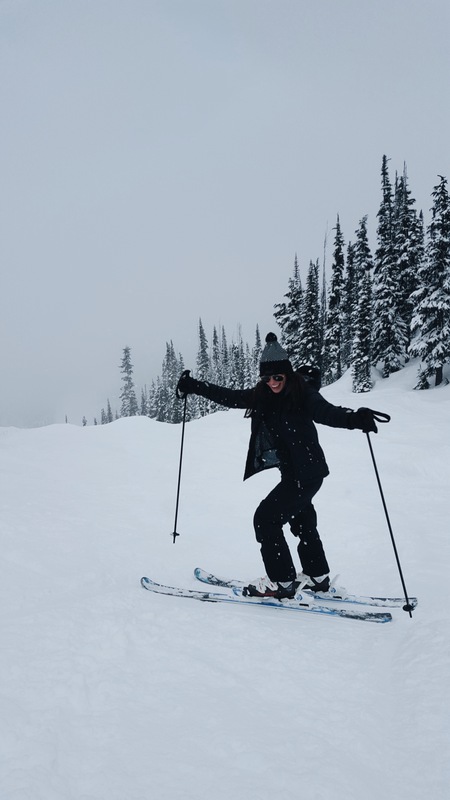 We went on a road trip to Whistler for a night and a day to hit the slopes! I grew up skiing with my family, and hadn’t skied in a few years so was really excited. (And I had also never been to Whistler before-it was so beautiful!). We stayed at the Fairmont in Whistler which was located right at the bottom of the slopes so in the morning all we had to do was rent our gear and walk to the mountain. After spending the night, we spent a full day of boarding and skiing and drove back to Vancouver that night. It was a great weekend getaway. Check out my Whistler video below!